The existing research on risk factors for adolescent substance use highlights the importance of peers’ direct influence on risky behaviors, yet two key limitations persist. First, there is considerably less attention to the ways in which peers shape overall (e.g., school-level) normative climates of attitudes and expectations about substance use, and, second, the role of the broader geographic contexts in which these climates are embedded is essentially neglected. 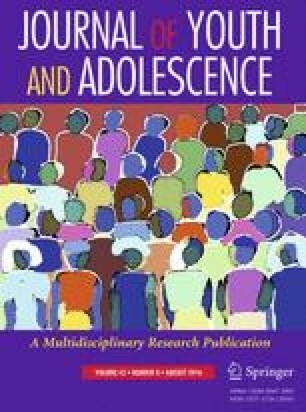 In light of shifting trends in geographic differences in adolescent substance use, the current study uses data from the 2007 Nebraska Risk and Protective Factor Student Survey (n = 26,647; 80 % non-Hispanic White; 51 % female) to (a) explore whether geographic context shapes the character (permissiveness) and consistency (homogeneity) of normative climates and (b) examine the consequences (effects) of such climates on adolescent substance use risk across the rural–urban continuum. Normative climates are a consistent predictor of substance use, yet the geographic context in which schools are located matters for both the nature and influence of these climates, and the patterns differ between normative climates about alcohol and marijuana. These findings illustrate that school normative climates do indeed matter for substance use behavior, and the ways in which they do depend on their broader, geographic context. Thus, future research on youth’s substance use should be attuned to these more nuanced distinctions. This research uses data from the Nebraska Risk and Protective Factors Student Survey. The 2007 Nebraska Risk and Protective Factor Student Survey (NRPFSS) was sponsored by Nebraska Partners in Prevention through funding awarded by the Substance Abuse and Mental Health Services Administration (SAMHSA) to the Nebraska Strategic Prevention Framework State Incentive Grant. The survey was administered by the Nebraska Department of Health and Human Services, the Nebraska Department of Education, and Bach Harrison, L.L.C. No direct support was received from SAMHSA for this analysis. This study was not supported by any direct funding source. C.T. conceived of the study, and executed the analyses, interpreted the results, and drafted the manuscript. TW assisted with conceptual model for the study, assisted in manuscript writing (including providing critical revisions to all sections), and aided in model design and interpretation of results. Both C.T. and T.W. have read and approve the final manuscript. C. Thrash declares that she has no conflicts of interest. T. Warner declares that she has no conflicts of interest. This study was an analysis of secondary data. All procedures performed in studies involving human participants were in accordance with the ethical standards of the institutional and/or national research committee and with the 1964 Helsinki declaration and its later amendments or comparable ethical standards. Both authors CT and TW affirm that the manuscript is in compliance with the ethical standards outlined by the Committee on Publication Ethics (COPE). Miech, R. A., Johnston, L. D., O’Malley, P. M., Bachman, J. G., & Schulenberg, J. E. (2015). Monitoring the Future national survey results on drug use, 1975–2014: Volume 1, Secondary school students. Ann Arbor: Institute of Social Research, The University of Michigan. http://monitoringthefuture.org/pubs.html#monographs.